Del Christo Balsamico is aged not less than 12 years, extra aging in cherry wood casks. The Barbieri family produces Consorzio of Modena Tradizionale balsamico only, with unique variations. 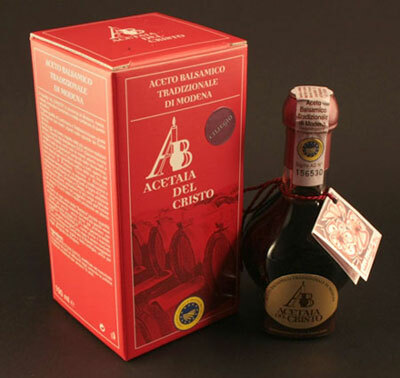 Del Cristo Traditional Balsamic white seal is longer aged in cherry wood, imparting a stunning and unique flavor to this traditional balsamic. Packaged in Consozio glass, boxed with a booklet and carries both the Consortium seal of quality and the Del Cristo logo.